Advanced plans have been put in place for hundreds of Turkish construction workers to be flown into Malta to work on major private construction projects across the island, The Sunday Times of Malta has been informed. The plans include fast-track approvals by the government’s employment agency Jobsplus and the conversion of a large site next to the airport where these workers will live in makeshift mobile homes similar to those used by refugees in Ħal-Far. A spokesman for Jobsplus declined to confirm ongoing talks with TACA Construction, the Turkish company involved, and their Maltese agents on the importation of hundreds, possibly thousands of workers. “We do not divulge any information on specific companies,” was Jobsplus’s response when asked specifically about TACA Construction’s plans. However, the newspaper is reliably informed that TACA told Jobsplus that it intends to bring in up to 2,500 construction employees to work on major projects on the island. A subsidiary, called TACA Insaat Ve Ticaret AS, was registered in Malta last September. Turkish sources told the newspaper that so far, TACA Construction has already entered into a multi-million deal with the Seabank db Group over the construction of the City Centre development in St George’s Bay. On this site, formally occupied by the ITS which the government sold for a controversial €15 million, the Seabank db group is planning to develop a massive hotel and a 38-storey residential tower. The sources said that the Turkish construction mega company, which has built many towers in Istanbul and Ankara, is also in advanced discussions regarding other major projects including the building of large edifices for the Fortina Hotel in Tigné and an extension of the St Vincent de Paul long-term residential facility in Luqa which the government has also assigned to a subsidiary of the Seabank DB Group and James Caterers through another controversial deal. It is understood that TACA is offering very low construction prices compared to the current market prices. A spokesman for the Seabank Group declined to comment on their negotiations with TACA Construction. Jobsplus CEO Clyde Caruana has been harping on the need to import thousands of foreign workers to the island in order to sustain economic growth. Last week, addressing concerns expressed by many Maltese over the government’s policy of encouraging inward migration, Prime Minster Joseph Muscat warned that without an influx of foreign workers social benefits would not be increased. Dr Muscat warned: “If you want to enjoy the meat you need to take the bone too”, when referring to foreign workers. Currently, there are some 2,000 third country nationals registered with Jobsplus as construction workers. However, industry sources estimate that there are many more thousands working illegally. 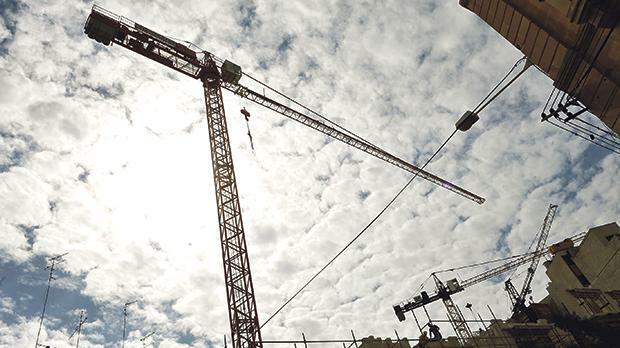 Industry sources told the newspaper that while due to the ongoing building boom “there is a need for more construction workers” Malta also needed to look at quality. “It is also imperative to make sure that workers are not abused and that the market is not flooded with ‘cheap labour’ as this will eventually hurt us,” they added. The minimum wage in Turkey stands at €380 a month, half Malta’s. However, according to local laws, foreign workers on the island have to be paid at least Malta’s minimum wage.